Texas Senator Ted Cruz, Illinois Gov. 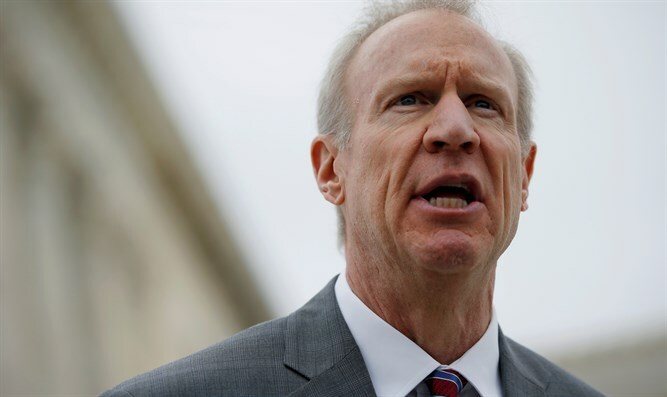 Bruce Rauner blast neo-Nazi who ran unopposed in primary, became default GOP candidate for congress. Gov. Bruce Rauner, a Republican, denounced Arthur Jones, a former leader of the American Nazi Party, but declined to endorse the opposing Democratic candidate. His response differed from Republican Sen. Ted Cruz of Texas, a former presidential candidate, who in a tweet on Friday called on Illinois voters to “write in another candidate, or vote for the Democrat” running against Jones. “This is horrific. An avowed Nazi running for Congress. To the good people of Illinois, you have two reasonable choices: write in another candidate, or vote for the Democrat. This bigoted fool should receive ZERO votes,” Cruz said in his tweet. Illinois Republicans have also said they will work to draft a write-in candidate for the state’s 3rd Congressional District, which is a predominantly Democratic district, for the November election, Politico reported. Democratic Rep. Dan Lipinski has served the district for nearly a decade.